The violence began ahead of nationwide demonstrations on Wednesday when separate pocket of protesters hurled Molotov cocktails at a police station, prompting a police crackdown. 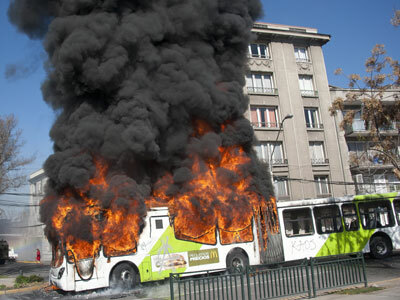 The protesters also stormed a restaurant and used its chairs as barricades, tying up traffic along some of Santiago's busiest roads, AP reported. 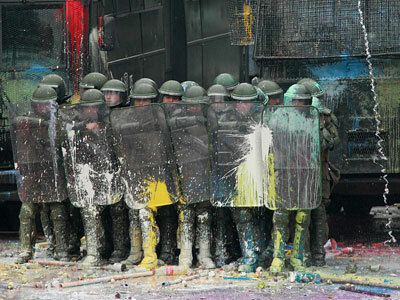 Police arrested 102 people, while four officers were injured in the violence. 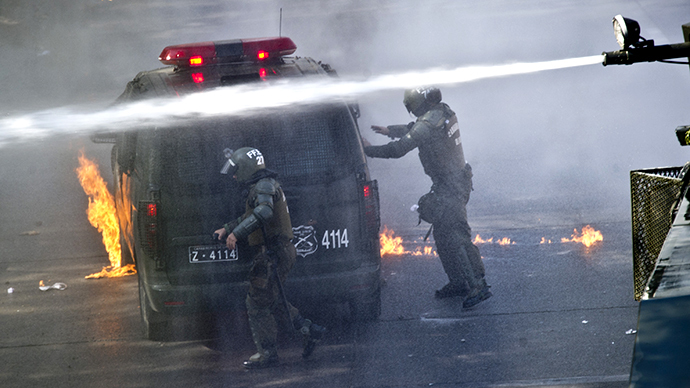 The Chilean government had strong words for the demonstrators. "They are not students, they are criminals and extremists," Interior and Security Minister Andres Chadwick told a press conference. "They've acted in a coordinated and planned way to provoke these acts of violence." Teachers, dock workers and copper miners joined students in the national protest, which was described as an effort to highlight social problems ahead of Sunday's presidential primaries. Chile, thanks to the largest copper mines in the world, has witnessed a surge in economic growth and investment, which the demonstrators say is not being used for the betterment of society as a whole. The South American country of some 17 million people is afflicted by severe income inequality, as well as a pricey education system that many say prevents the lower classes from moving up the social ladder. Others say the wealthy should have to carry more of the tax burden. "This has to do with discontent that is deeply rooted in many sectors of society. 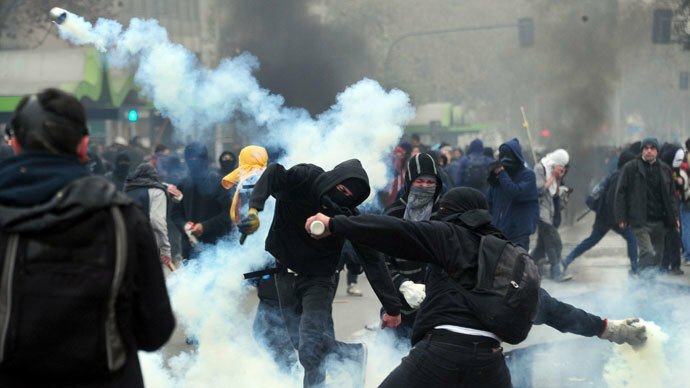 But we're the first ones to sympathize with people who are innocent victims of this violence, because there's no way to justify these types of clashes," Andres Fielbaum, president of the University of Chile student federation told state television. Protests over what has been described as “educational apartheid” have plagued Chile over the last two years as the perception grows that the country’s education system gives the children of wealthy people access to some of the best schooling in Latin America. Meanwhile, the children of poor and middle-income families are placed in dilapidated, under-funded state schools. The dispute over education reform is set to be a key issue ahead of the presidential elections scheduled for November 17.